Fraud Warnings Fraud Alerts C From Financial Authorities. Almost all firms offering financial services in your country must be authorised by your local Financial Services Authority, therefore you should only deal with authorised firms. 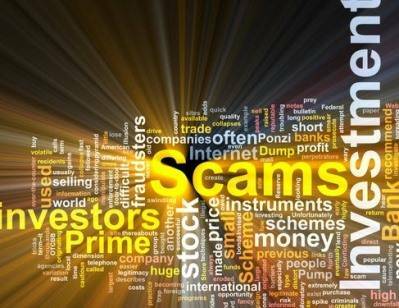 Unfortunately there are firms that operate without authorisation and some knowingly run scams like share fraud and other investment scams. If a firm does not appear on the Register of Authorized Firms of your local Financial Services Authority but claims it does, search for it in this list of fraud warnings fraud alerts C.
Beware of fraudsters pretending to be from a firm authorised by your local Financial Services Authority, as it could be what we call a ‘clone firm’. If you are cold-called by a financial services firm always ring them back on the switchboard number given on the Register. We add firms to this list of fraud warnings fraud alerts C, as soon as possible but it is not exhaustive. Do not assume a firm is legitimate just because it does not appear in this list of fraud warnings fraud alerts C, these firms frequently change their name and it may not have been reported yet. You should take further steps to protect yourself from unauthorised firms and check our list of fraud warnings fraud alerts C.
If you think you are a victim of an Internet scam, Internet fraud, stock and securities fraud or a boiler room and you are looking for help, please contact ISOG lawyers, attorneys at law, private investigators and private detectives to check our fraud warnings fraud alerts C.
ISOG offers services to assist you with investigating the case, issuing warnings, filing claims with financial authorities and taking legal actions for money recovery. Please inform us about your case, by the use of this contact form. THE INFORMATION CONTAINED ON THIS PAGE IS PUBLIC AND MADE AVAILABLE BY THE FINANCIAL AUTHORITIES OF VARIOUS COUNTRIES. Cameron Poe & Associates Inc.
Capital Investors Asset Management A.G.
Carlton Birtal Advisory Services, S.L. CATUNDA BRASILEIRO ASSESSORIA E ADMINISTRAÇÃO LTDA. Central Security Clearing System F.S.C. CES Futures Brokerage Co. Ltd.
Charles Hirsch Capital Management, Inc.
Chicago Board of Acquisitions Inc.
City Fidelity Trust Bank Private Clients Int’l. City Financial & Security Services B.V.
Commodity & Futures Consulting, S.L. Corporation de Capital Swap inc.
Fraud Warnings Fraud Alerts A From Financial Authorities.